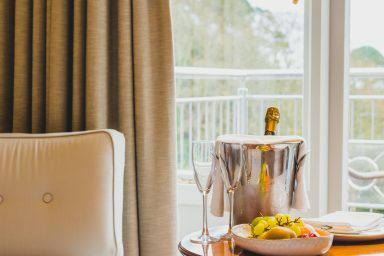 Platinum rooms are the highest category of room, all with prime views over the Valley toward the sea, facing neighbouring islands. 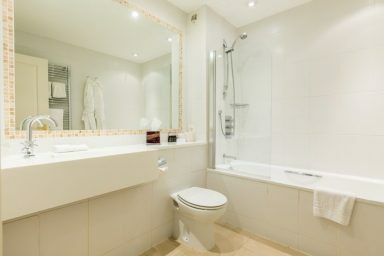 If you wish to stay in absolute luxury our Platinum rooms are the preferred guest choice, these are all individually appointed, and slightly larger in size than gold rooms, with additional features of larger 40″ TV with sky sports, plus all the standard extras including fresh fruit, slippers, a decanter of sherry and The White Company toiletries. Please note these rooms do not have balconies. These rooms are the crème de la crème and offer stunning sea views. There are eight Platinum rooms, all located in the main part of the hotel, and each room is unique with its own style and décor. They are the most spacious rooms available and have been carefully designed to ensure that they live up to the expectations of even the most special of occasions. The Platinum rooms offer enhanced entertainment facilities in the form of Sony Bluetooth speakers and a 40” screen with the full Sky TV package. The only downside is you may never want to leave your room! 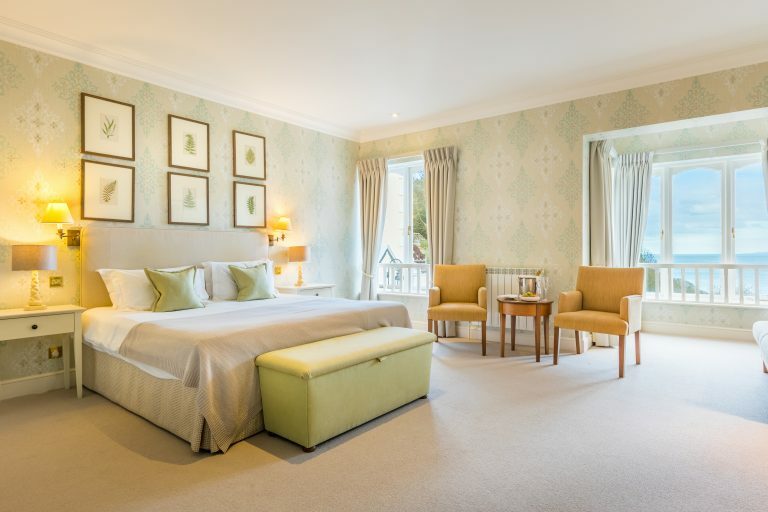 Platinum rooms are large enough to accommodate an extra bed or cot if needed. Fantastic accommodation, we stayed in a Platinum suite with sea view. Friendly helpful staff. Manager kindly gave us champagne and rose petal room service free on hearing it was our Silver Wedding anniversary. Food in Ocean restaurant fabulous. Hotel operate a shuttle bus service that will take and collect you from Airport and into town. Emailed ahead of trip to arrange collection from Airport. Nothing too much trouble. Have a beautiful tea room with fantastic cakes. Will stay again. The platinum room in the main hotel which was spacious and welcoming with luxurious comfortable beds. Little touches included room service (no tray charge), fluffy bathrobes, toiletries and decanter sherry. The bowl of fruit was also a lovely touch.